I have a Honda Civic 2007 Type S 1.8 iShift which I only just purchased as seen. I didn’t get to catch the iShift fault in it’s early stages during the test drive. The iShift fault Started off intermittent, lit the iShift transmission warning, jerking when changing down and dropping into neutral. Now the iShift Transmission warning is lit permanently and it won’t go into A, M or R. I am told Fault code 0810 clutch position control error, that the clutch actuator needs repairing and maybe the clutch replacing but this garage refuses to give me a quote only an estimate after allowing them to diagnose. Could you help please? You’re not alone, it’s a very common fault and one we’ve got a full test & repair facility for. I have sent you an email with full information and pricing, if you have any questions, please reply to the email and we’ll be happy to assist you. I got honda civic 2008 i-shift ex,when i starts it first time in day and put in Auto to drive its just jerk and Gets turns Off. I have to leave it For a while until it gets warm up Then i can drive it . In high gears it goes well Without any issue. There is no warring light. Could please help me with issue and cost to fix it. 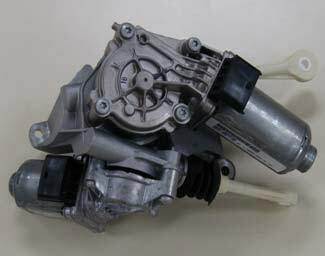 It does sound like the typical fault we would expect from the clutch actuator but it would need to be investigated and the clutch actuator will need testing to confirm the fault. We offer full testing on a purpose-built test rig whereby we can isolate the actuator to ensure we find the root of the failure before proceeding to remanufacture it. 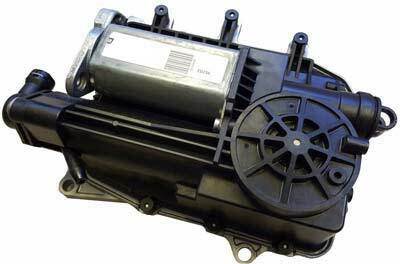 All rebuilt units are returned with a Lifetime warranty won’t require reprogramming when refitted to the vehicle. Having intermittent gear change problems is a common indicator that the iShift actuator is failing. You may find the fault is more visible in colder temperatures and it will become progressively worse over time. We have the facilities to fully bench test and remanufacture the iShift actuator unit and all repaired units are returned with a lifetime warranty. I have sent you an email with full information and pricing. For further information, please reply to the email and we’ll be happy to assist you. The P0810 is an extremely common fault code to have and one that we have successfully repaired many across more than a hundred units. I have sent you an email with full information and pricing. If you have any questions, please reply to the email and we’ll be happy to assist you. We have sent you an email with full information and pricing. If you have any questions, please reply to the email and we’ll be happy to assist you. I have a Honda civic i shift ES i vTEC 2006 model. It wast strating at fist then got up and got broken down after few miles, the gear shift wouldn’t register and the car won’t move. Took to the local garage, after running a diagnostic it came out CVT actuator faulty. I live in birmingham, how can i get this resolved if i want sinspeed to do this? We have customers send us parts from all over the world. You can ask your local garage to remove the part and send it to us for test & repair. I have sent you an email with full information and pricing. If you have any questions, please reply to the email and we’ll be happy to assist you.